In any case, it seems that a factory defect has been discovered during the inspection of Nendoroid Hatsune Miku: Hachune Face version prior to its shipment. This Nendoroid, which was available through web pre-order of Summer Wonder Festival 2012 is initially scheduled for December 25th, but it seems that Mr.Santa GSC has decided to delay your Chrismast present the Nendoroid release to January 21st next year. Thank you very much for your support of Good Smile Company products. A factory defect has been discovered in the “WONDERFUL HOBBY LIFE FOR YOU!! 16” web shop preorder item “Nendoroid Hatsune Miku: Hachune Face Ver.” which was announced to begin shipping on Tue, Dec. 25. As such, shipment for this item has been delayed to Mon, Jan. 21, 2013. As there is possibility that some of the products within this shipment may have defective parts, all items will be shipped together with the replacement parts “Left & Right Twin Tail Parts” as well as “Twin Tail Joints x 2”. We’d like to express our most sincere apologies, to all of our customers who were looking forward to the release of this item. Yep, the replacement parts for the defective parts will be shipped along with the Nendoroid. You can also cancel your order and GSC will refund you fully, if you want. 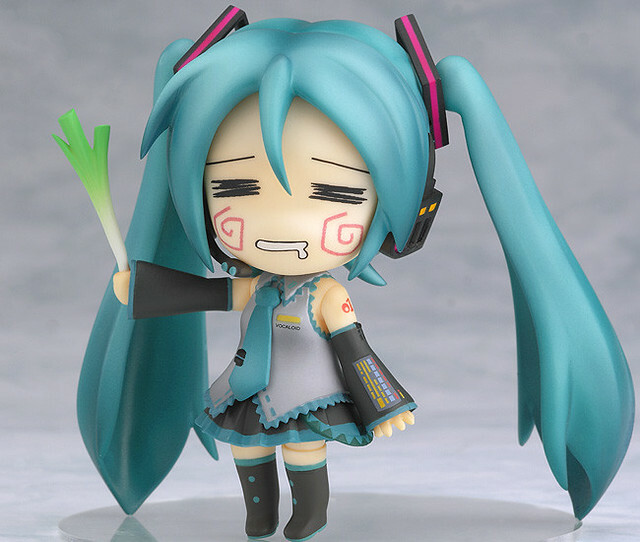 This entry was posted in News and tagged hachune miku, hatsune miku, nendoroid, vocaloid, wf2012, wonfes.